Whilst I often try to fit some "whisky tourism" into my trips where possible (a distillery tour, bar or whisky show for example), I wasn't expecting to do so on a recent trip back to Australia, considering I was only there for 3 nights for a mate's wedding and to visit my folks in their new Southern Highlands home. Turns out my parents had a different idea though, and had sneakily booked a tour of Joadja Distillery, in the historic town of Joadja (about 40 minutes from Bowral). The distillery wasn't open that day, but the lovely Valero and Elisa Jimenez (Directors, owners and operators of the Distillery and Joadja Heritage Tours) kindly agreed to open up and show us around. 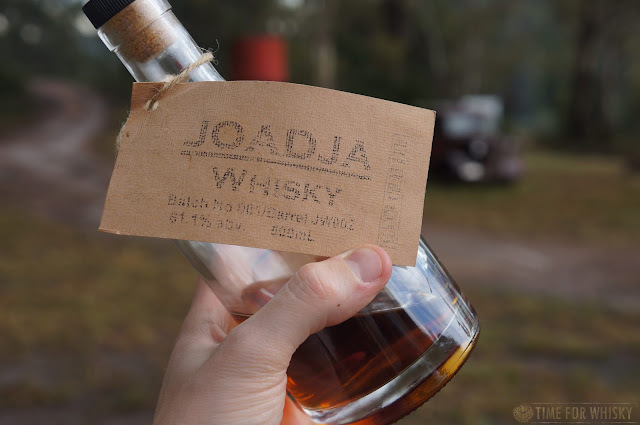 Even if you're familiar with the Australian whisky scene, you may not have heard of Joadja before. That's because they haven't actually released a whisky yet - although they have produced whisky (and from what I tried, it was very nice indeed - more on that below). 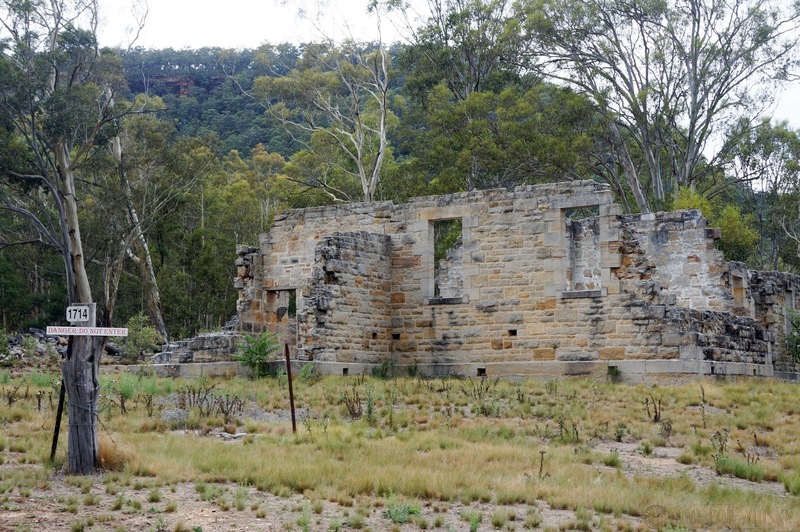 The trip to Joadja takes you on ~10km of (relatively easy-going) dirt road, passing several ancient buildings hinting at the town's historic roots. Upon arrival at the distillery, Elisa and Valero (who also run non-whisky focused tours of the historic town) told us a little about the history of the area - founded in the 1870s as a shale mine and refinery, and staffed at the time by a large population of Scottish shale miners, who not only distilled shale oil, but also their own illegal spirit, or "sly grog", on the side. 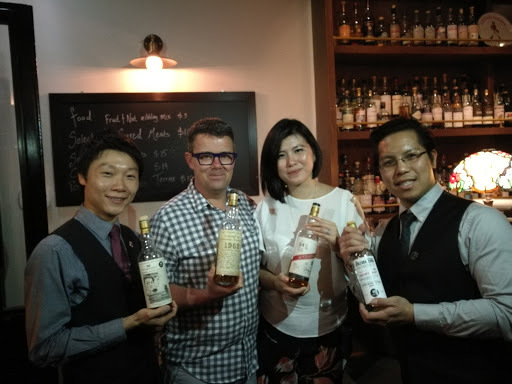 The Jimenez family (as the name might suggest) have Spanish heritage, with Elisa herself having a direct family connection back to Jerez, enabling them to source high quality ex-Sherry (Oloroso and PX) casks for maturing their whisky. So, access to high quality sherry casks too - tick, tick! 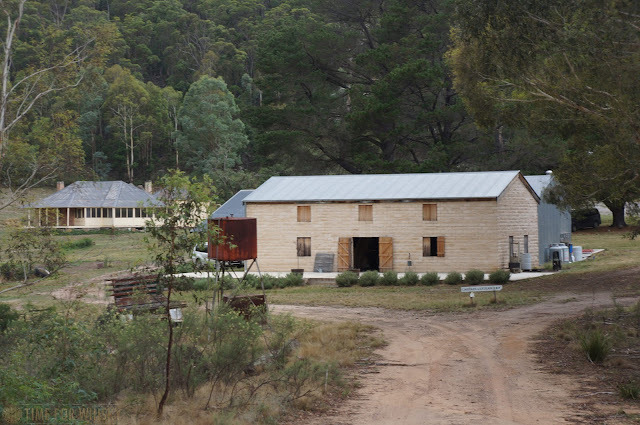 It was these factors (coupled with some convincing from the Godfather of Australian Whisky Bill Lark) that convinced the family to establish the distillery in 2014, having purchased the site years earlier, seeking a change of lifestyle after running a backpacker's hostel in Sydney. 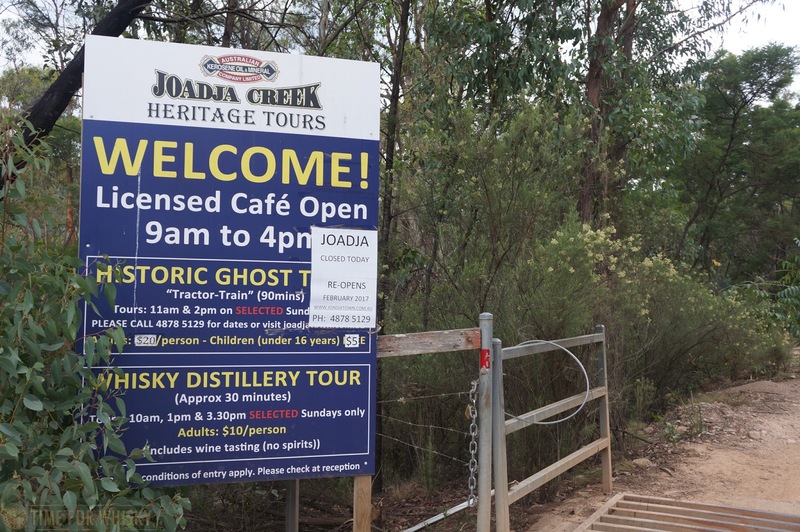 It's interesting to note that there was actually a distillery in Joadja previously, on the same site, which had all the equipment but never produced a drop. 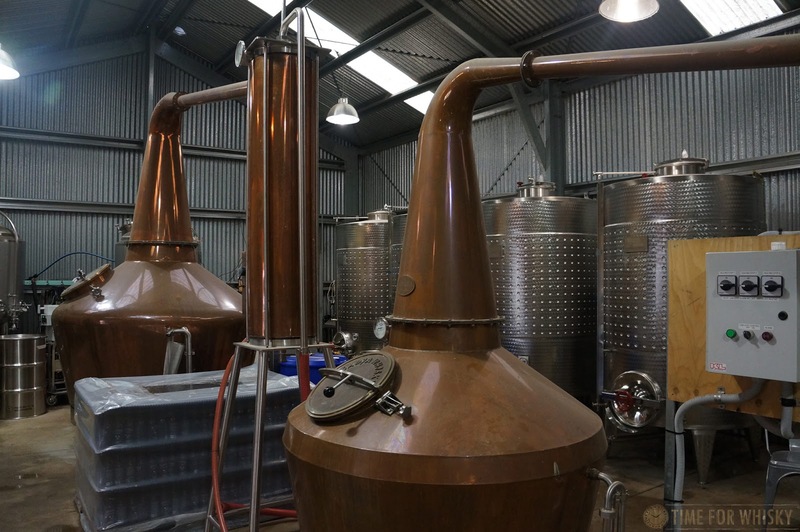 Those stills however were removed, and made their way to New World Whisky Distillery (aka makers of Starward), whilst Valero and Elisa procured new equipment for their distillery. Soon after arriving at the distillery we were greeted by an immense downpour - so heavy that we couldn't even hear Valero speak. 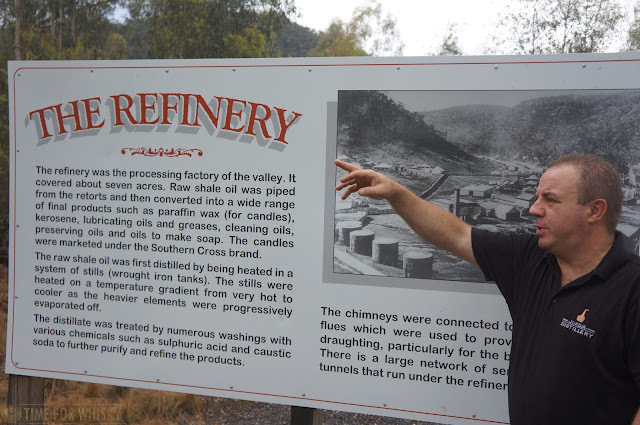 When things quietened down, and we were taken on a tour of the town, the local spring (supplying all the water used in the distillation) was flowing. No concerns about water availability then! 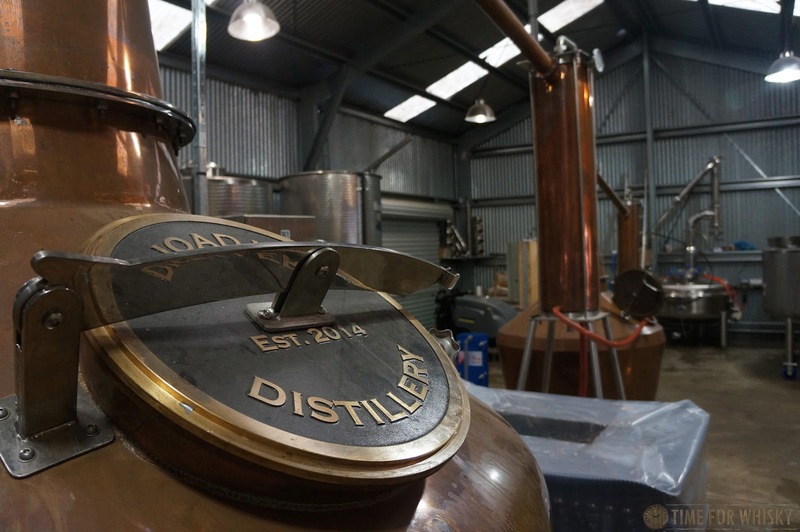 The distillery uses an 800L spirit still, and produces a powerful but nuanced new make. 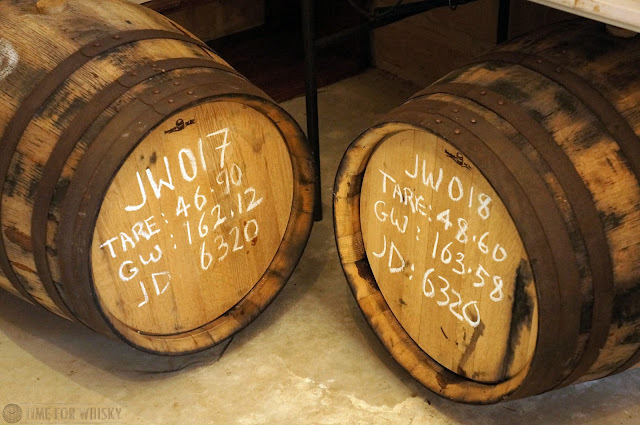 Maturation occurs in the same location, just a few metres away, mostly in 32L casks which previously held Oloroso or PX Sherry (the distillery also sells the sherry which came from the casks, and it's very tasty stuff). 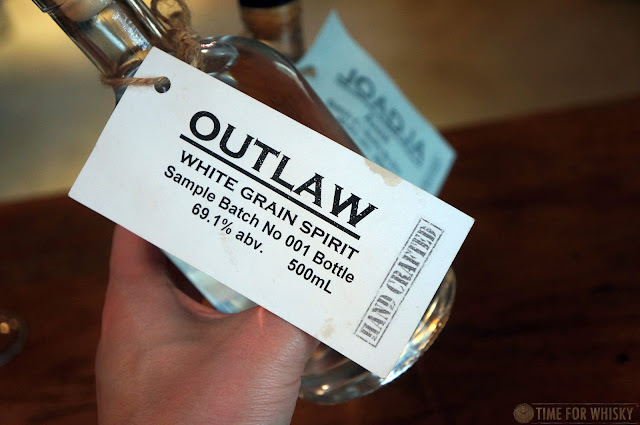 As with most young Australian distilleries, Joadja are also producing and selling new make ("Outlaw"), Anis, and a Dry Gin, all of which are available now. 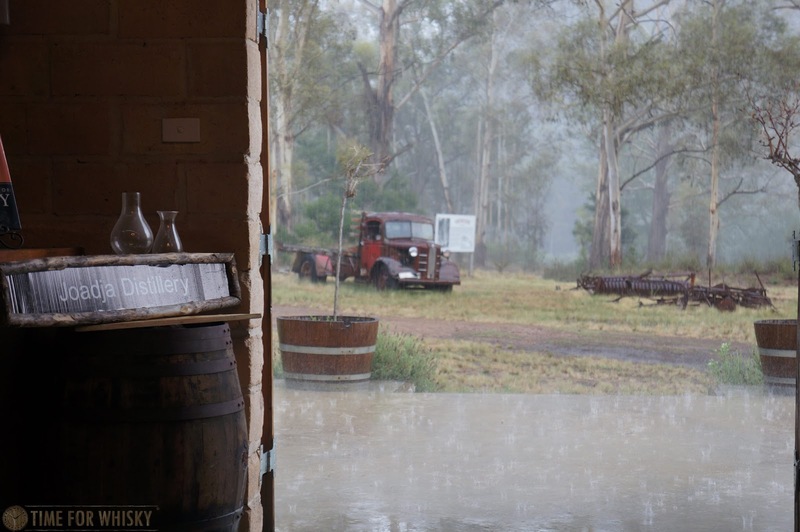 Their whisky is not yet available, although Bottles #1 and #40 will be given away at the upcoming Brigadoon festival in Bundanoon - Bottle #1 to Scottish-Australian legend Jimmy Barnes, and #40 to be raffled off at the event. 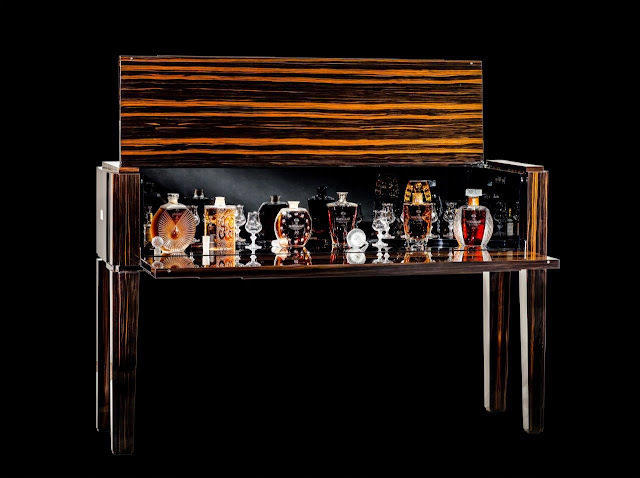 It's expected the whisky will be available for sale to the public this year. 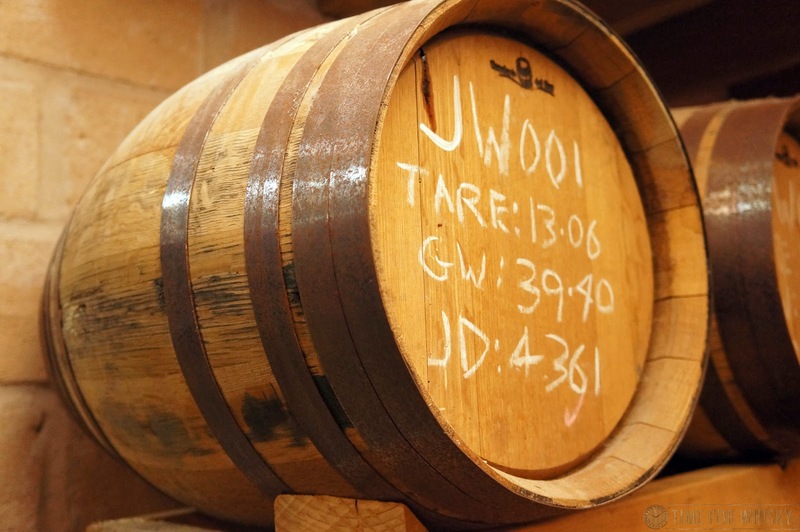 I was fortunate enough to try a dram of the first cask (JW001), at a cask-strength 60.8% ABV, and whilst I've promised not to post detailed tasting notes (as what I tasted was still a 'work in progress'), I can confirm it was an impressive dram for only 2 years old, and reminded me very much of other Australian distilleries in their younger years - distilleries which have since gone on to produce world-class whiskies. 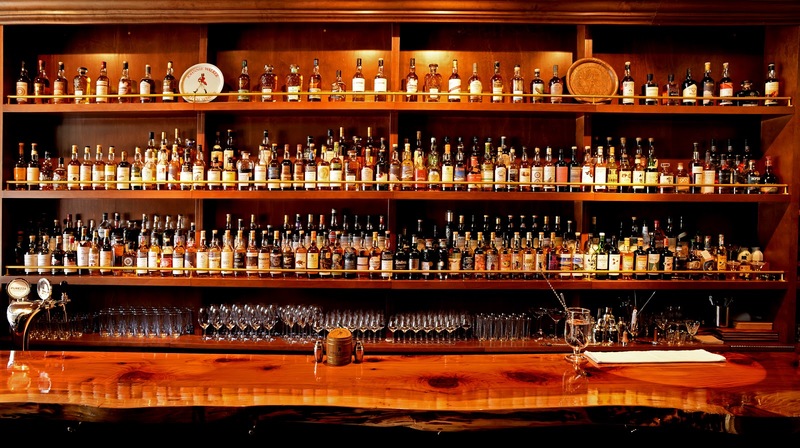 Certainly a distillery to keep an eye on. 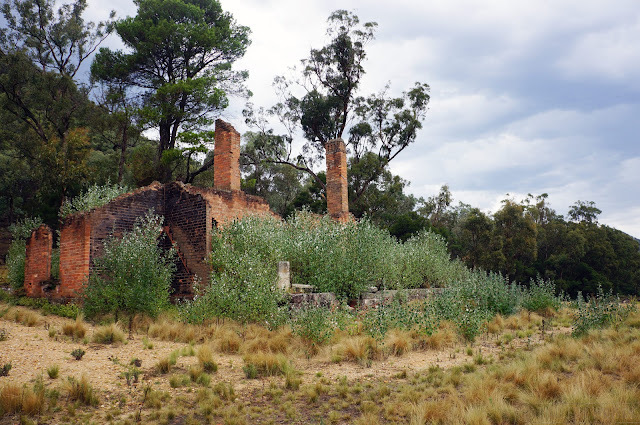 Whilst the distillery is a bit of a trek from Sydney, it's one I can recommend making - make it a day trip and include a tour of the historic town too. 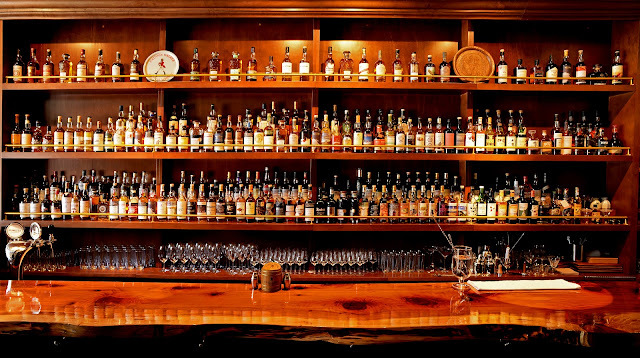 You can't taste any of the whisky during the tour, but you can see the equipment up close, and try the sherry which seasoned the casks that are now maturing the whisky. 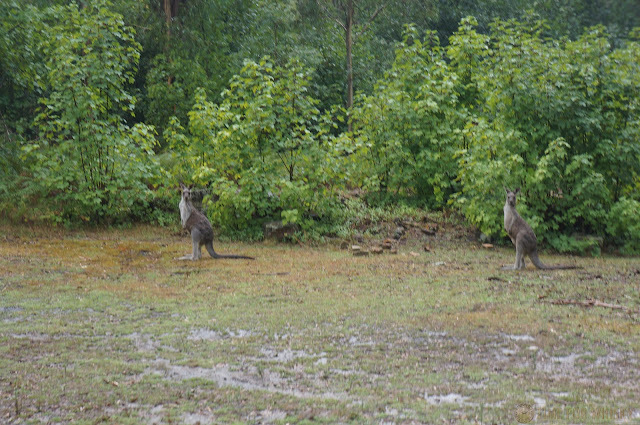 You can also see Kangaroos, and really, how many distilleries can lay claim to that!? A huge thanks must go to Elisa and Valero for their immense hospitality during our visit, and for generously allowing us to taste their spirits. 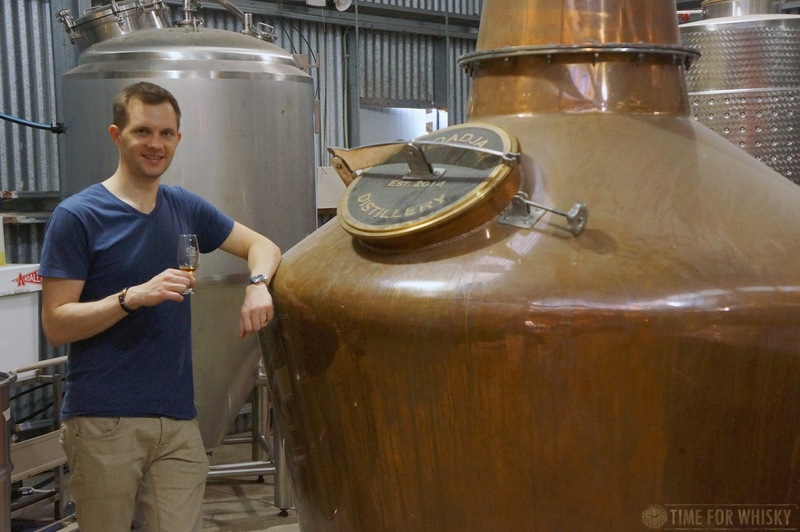 Personally I'm excited to see another NSW distillery producing high-quality spirit, and can't wait to see this distillery grow and no doubt go onto great things. 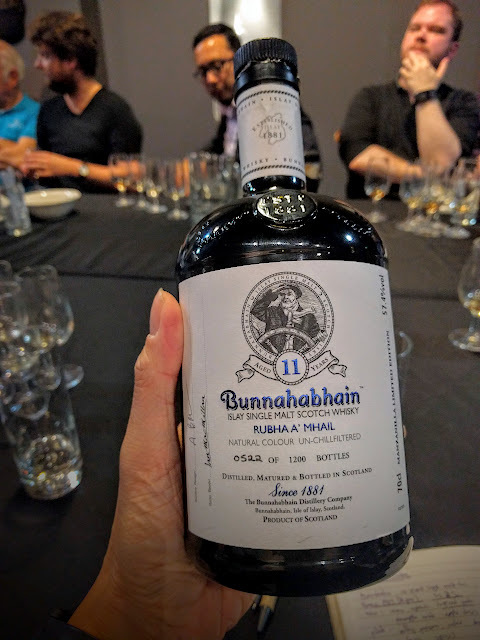 I had the opportunity to sample this special limited edition Bunnahabhain Rubha a'Mhail as part of a recent Bunnahabhain tasting hosted by whisknick. The name 'Rubha a'Mhail' is taken from a local Islay tale of a ship that crashed into the rocks at Rubha A' Mhail with the skipper spending 11 days trying to free the ship (which still remains at the same place to this very day). 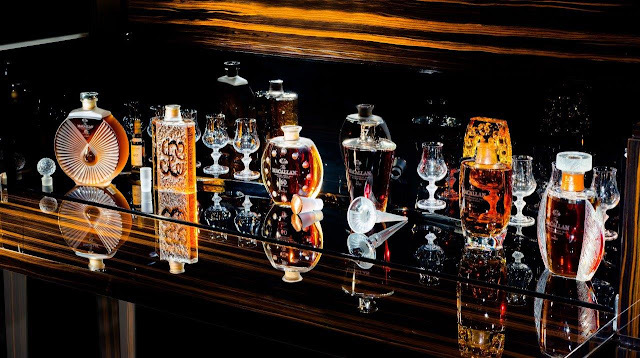 The name and the story certainly make for a good dram. The Bunnahabhain Rubha a'Mhail malt has been aged for 11 years in Spanish Manzanilla sherry butts and bottled for the Fèis íle 2015 Islay festival. I do have to say that this is another stellar Fèis íle bottling, just like the Port Charlotte SMWS 127.44 bottling I had reviewed earlier. 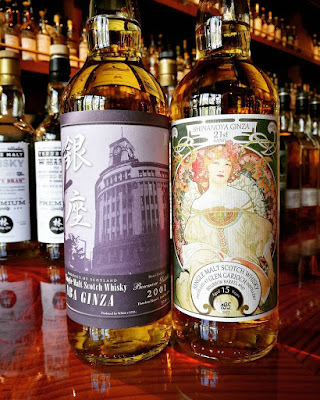 The Manzanilla sherry butts have positively influenced the rich flavours of Bunnahabhain with its light Manzanilla salty and briny notes. 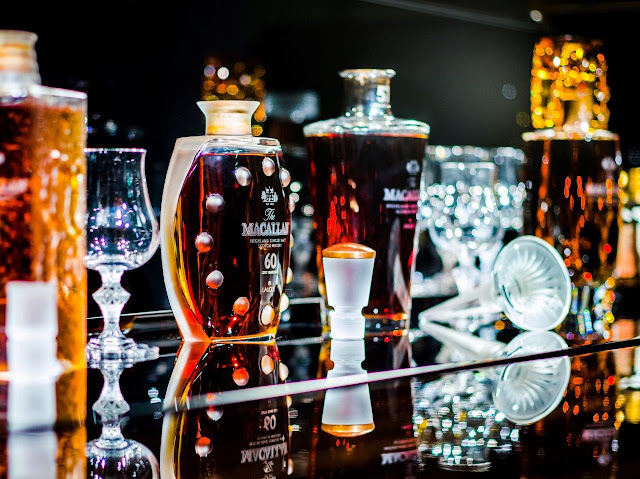 A lovely, rich and creamy bunny that is packed with flavours and a dram I would have to celebrate a momentous occasion. 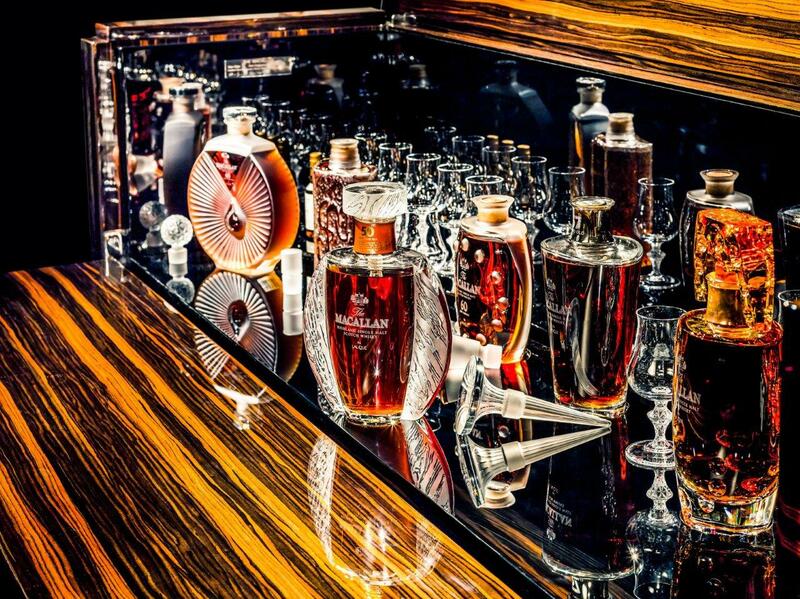 Nose: The nose is rusty and nutty and mixed with burnt caramel, toasted banana bread. There are hints of stone fruits including plums and figs. Palate: The palate is creamy, rich, filled with sweet and maritime notes with a mixture of rich caramel and brine (salted caramel). This is then followed by cinnamon spice with hints of stone fruits. Finish: The finish is long, woody and creamy - delicious. 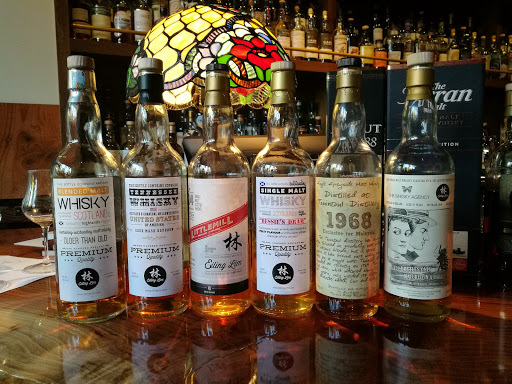 If there's a trend present in recent distillery-bottled Ardbegs over the past few years, it would be that they're all on the (relative) younger side. Not "young", not "immature", not even "simple"....but when the oldest age-statement whisky in a core range is 10 years old, I think it's a fair comment. 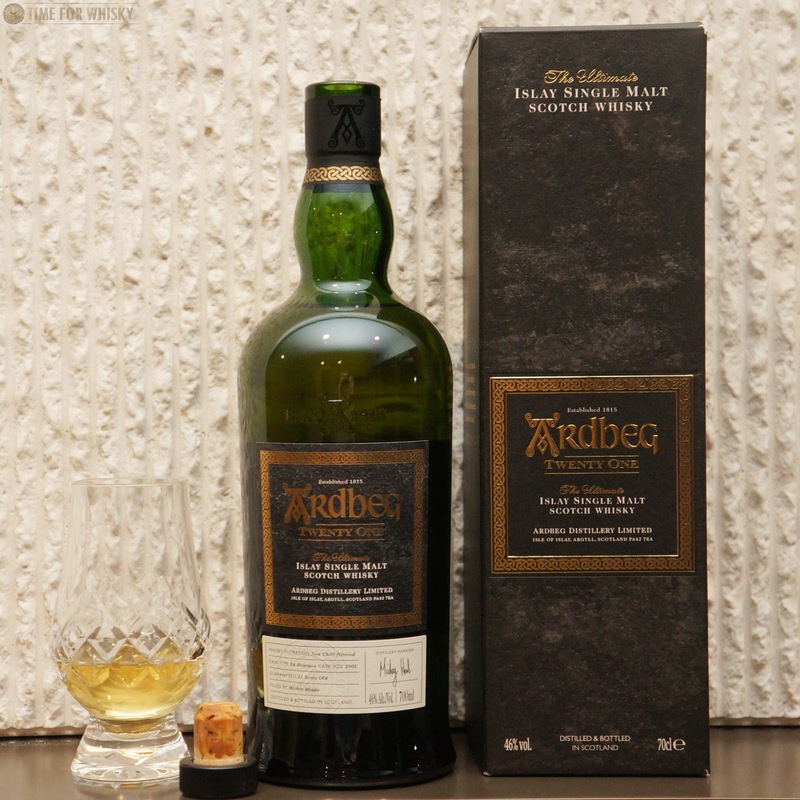 Of course, there are older Ardbegs (the distillery has bottled quite a few old single casks over the years, there are plenty of 21 year old independently-bottled Ardbegs, and there was even an OB 21 year old from years ago), but in recent years, if you wanted an OB age-statement Ardbeg, the 10 year old was it. 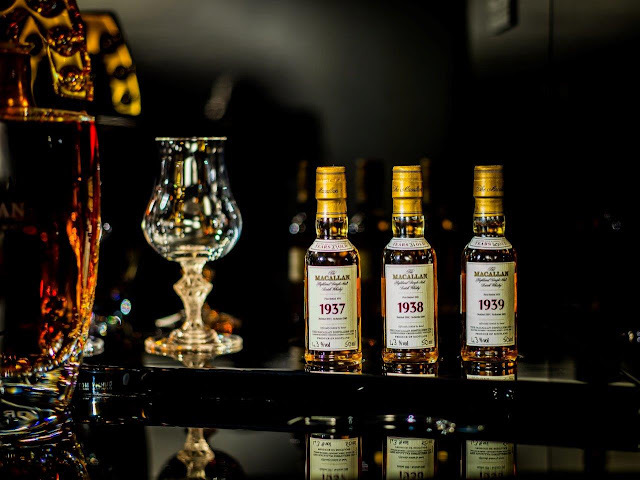 ...so it was all the more exciting then, when late last year Ardbeg announced an official bottling of a 21 year old, from a parcel of casks Moët Hennessy (LVMH) acquired with the distillery in the late '90s. You may remember we originally brought word of the new release back in September. The whisky for this 2016 release was distilled in 1993 and 1994 and comes from ex-Bourbon casks, bottled at 46% ABV with no chill-filtering. It was available in Australia for $565AUD...for about 90 seconds, as it literally took that long for the 90 allocated bottles to sell out. 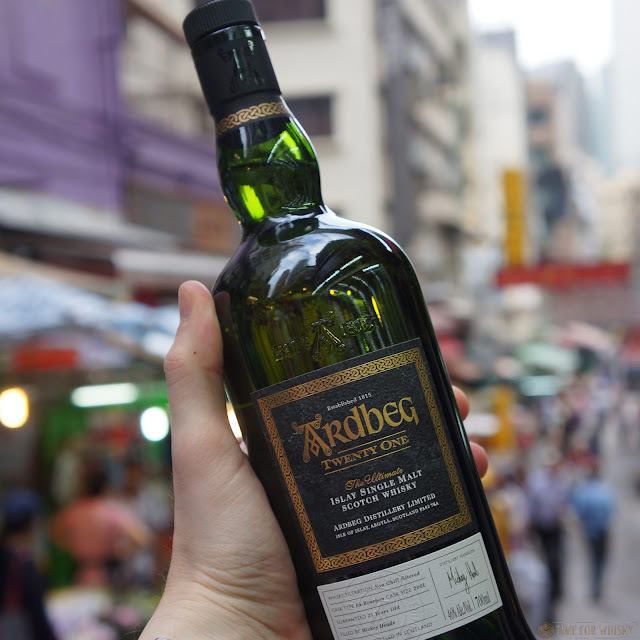 Luckily, we got our hands on one, quickly brought it to HK, and immediately cracked it open. 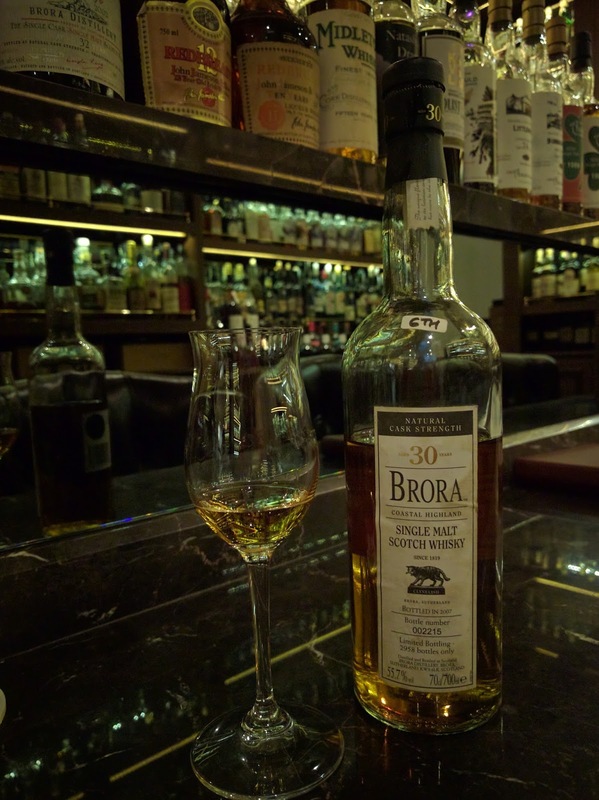 Nose: Tropical, like many older Islay bottlings, but perhaps not as full on as some Ardbegs from the '80s. 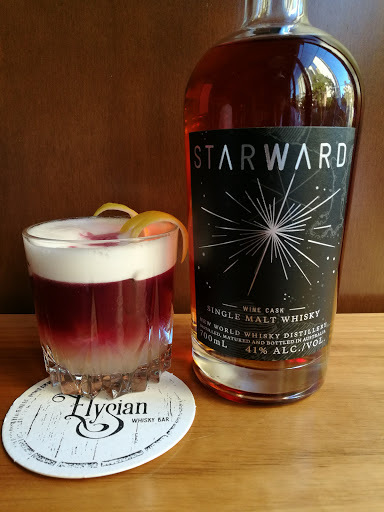 Peach, peat and mango at first. Then blackberries, fresh laundry, sea air, and (with time) a slight earthiness. Palate: Smooth and light initially. There's citrus tingle, and then comes the peat, wrapped in a chewy caramel layer, followed by some chocolate orange. There's some damp earth, and everything is in perfect harmony. 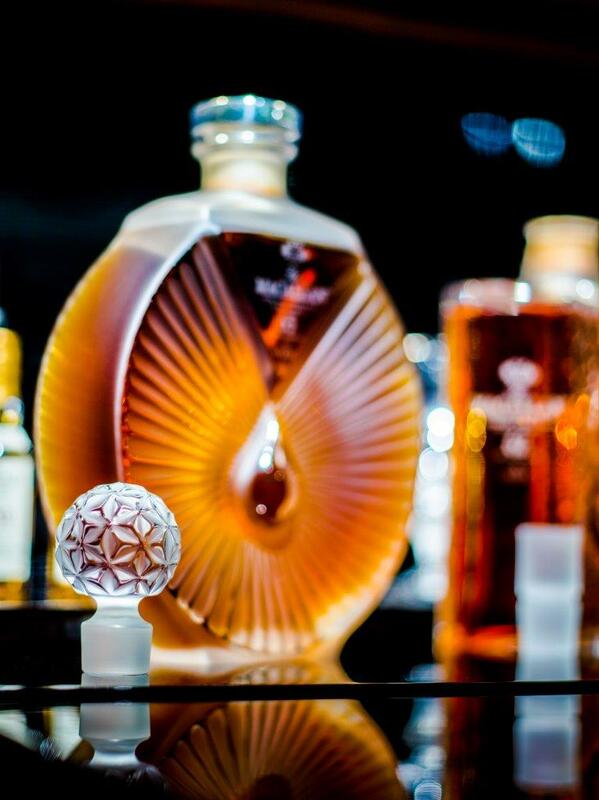 A drop of water brings hints of mandarin and mint. A mixed bag, but one that brings everything together beautifully. Finish: More like the modern-day Ardbegs we've come to know. Ashy BBQ peatsmoke, with a hint of citrus zest. A little oak. Rating (on my very non-scientific scale): 94/100. It would be easy for the distillery to produce an average release, and still sell out in a matter of minutes. But they haven't. They've produced a beautifully balanced, complex Ardbeg, with plenty of brand DNA, but enough differentiation to make it a unique whisky - and a beautiful one at that.